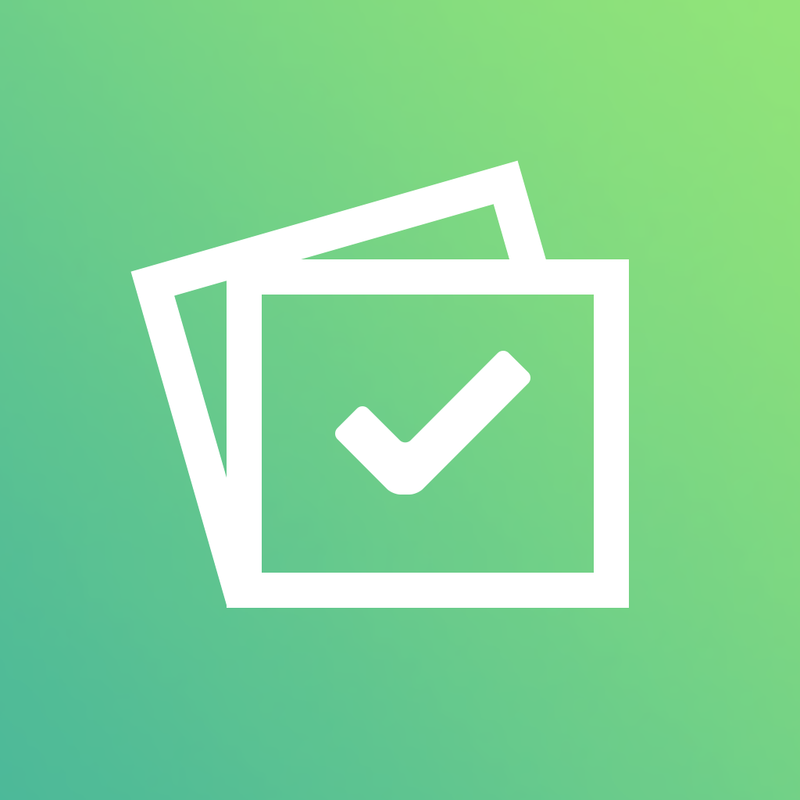 Overswipe (Free) by Haley & Hughes LLC is a simple app with one purpose in mind: prevent others from seeing photos that you didn’t intend them to see. 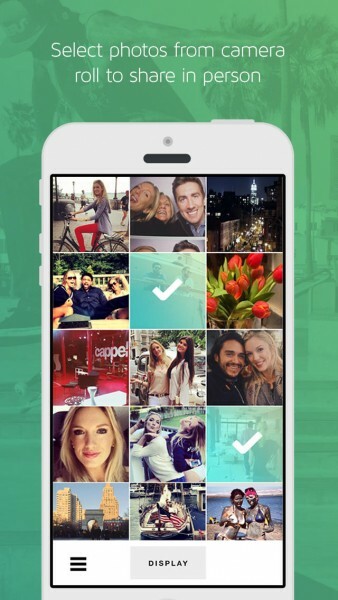 This is similar to another app we covered: Don’t Swipe. I’m sure we’ve all been there — we just had the most awesome vacation or event recently, and we took some great photos that need to be shown off during the next gathering. Except when you hand your phone off to someone, they may have a tendency to start swiping through all of your photos, thus seeing your embarrassing selfie (perhaps with a bit of “duck face” thrown in for good measure), random screenshots you wanted to save, photos used as quick memos and reminders, family photos, and whatever other embarrassing or private stuff hidden away in your Camera Roll. Fortunately, apps like Overswipe can handle this quite well. 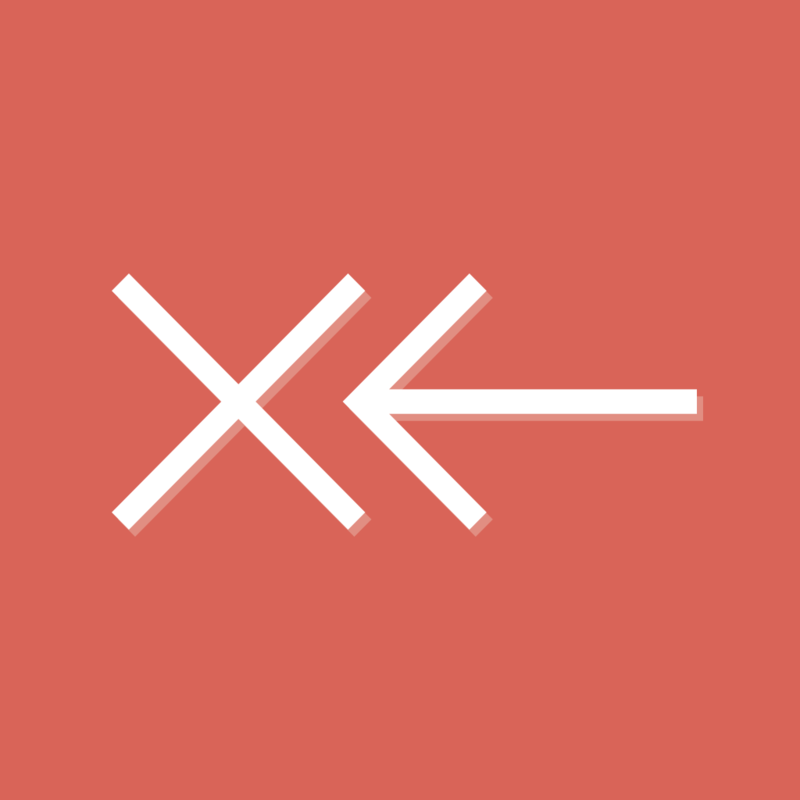 The interface for Overswipe is incredibly simple and intuitive. 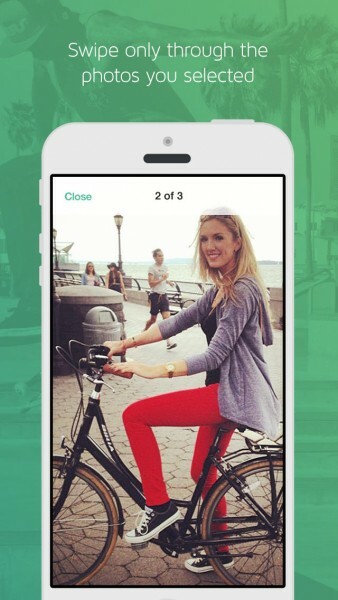 The app starts with a splash screen that explains what the app does, and then you start selective sharing. I am rather in love with the colors of the app, as I love pistachio and mint green colors (it looks like a mix of both), and it goes quite well with the white. Even if you’ve never used an app like this before, it’s easy to pick up and understand how to use it from the get-go. When you get past the splash screen (only on the first launch), you will find your Camera Roll, in chronological order with newest photos at the top. Just tap on the images you want to display, and you get a clear indicator when they’re selected, due to the beautiful seafoam green overlay on the thumbnail. If you change your mind, just tap on the image again to deselect it. 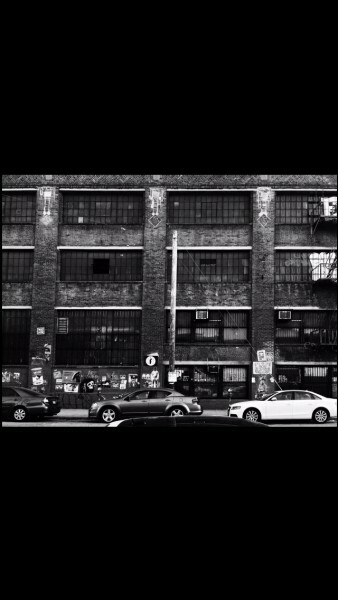 When you have chosen your images, tap on the “Display” button in the bottom and the images will then be in a full screen view, with black borders to place focus on the image, not the app. 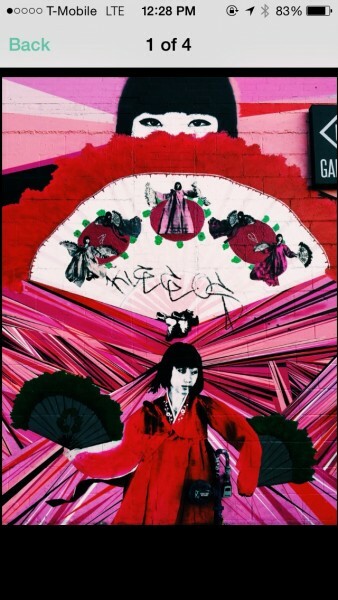 Swiping horizontally will scroll through the images, but nothing beyond that. To go back to your Camera Roll, just tap on the screen to bring back the header bar at the top, which shows how many images there are in the display, and a back button. Unfortunately, Overswipe is free to download with a few limitations. Initially, you can only share up to five photos at a time, and going back is only two taps away — anyone can probably figure this out if they just tinker around with the phone for a few seconds. 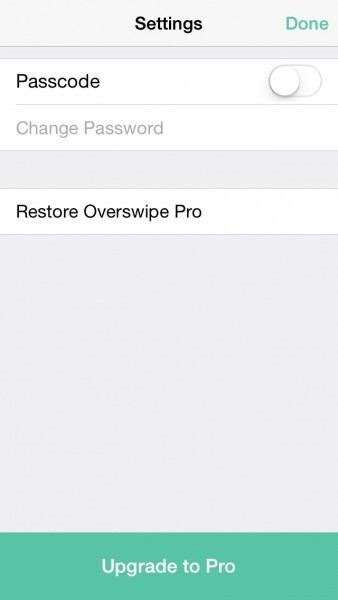 However, there are some incentives to upgrade to Overswipe Pro, which is available as a $0.99 in-app purchase. 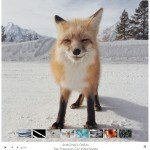 First off, you will be able to choose more than five images to display with the Pro upgrade. 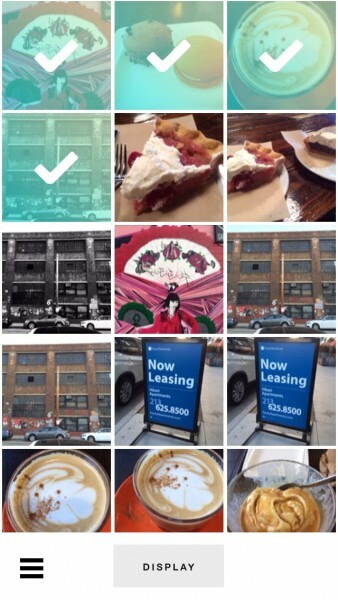 This makes it easier to share images with others on your device. So if you just came back from a week-long vacation (man, I could definitely use one of those) and took a lot of photos, this is a good way to share them without exposing other images. 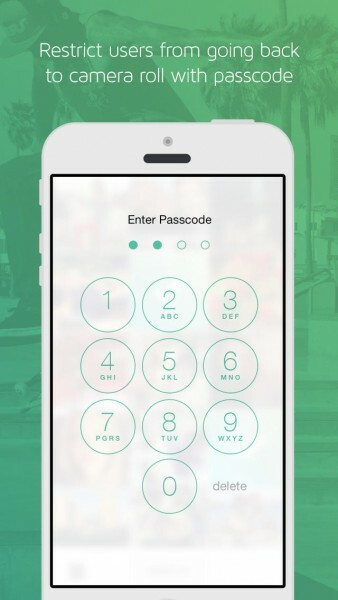 Second, you will be able to prevent other people from returning to your Camera Roll in Overswipe with a passcode. While apps like Don’t Swipe implemented a shake gesture to get back, this can be easily bypassed if a person accidentally shakes the phone. Needless to say, a passcode is much more secure than shaking, even if it’s more of a “hidden” feature. I believe that this could be further improved if the developer allowed for an actual password to be implemented, rather than just a four-digit passcode. 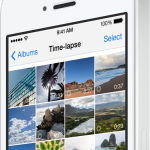 The app can be further improved, though, by allowing users to be able to save selected photos for quick access later. Say you selected about 50 photos from your vacation or convention that you want to share with multiple people at different times. It would be a hassle to have to go back each time and select those 50 photos again. Hopefully the developer can consider adding functionality like this for the Pro upgrade, as it would save a lot of time. 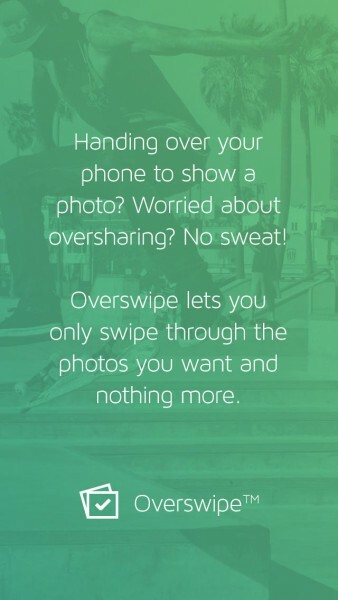 An app that provides privacy for your photos should be something that everyone has, and Overswipe is a great app to consider. I like the fact that you can basically try it and get a feel for the app for free, but to get the full functionality, you just pay a dollar. This is well worth the price, in my opinion, and I like that it implements a passcode, rather than a gesture that can be accidentally triggered. 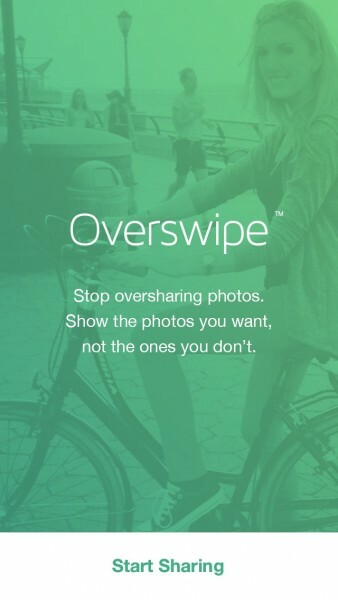 If you need a little solitude when it comes to your Camera Roll, you should definitely give Overswipe a try. It’s available for free on the iPhone App Store.